This period action comedy by Jiang Wen (Devils on the Doorstep) is great fun in the Shakespearean tradition, stuffed with lively characters, dramatic stand-offs, and stolen-identity subplots. Jiang stars as a fabled bandit who arrives in a small town posing as its new, state-appointed mayor; he plans to cheat the people out of their tax money, but after discovering that a local crime lord (Chow Yun-Fat) has beaten him to the punch, he decides to avenge them out of spite. The action moves at a breathless pace, and the comic dialogue (which sometimes recalls Billy Wilder's in its cheerful cynicism) moves even faster. But ultimately what makes the film irresistble is its laid-back quality: Jiang lingers on each narrative complication until it yields the maximum pleasure. In Cantonese and Mandarin with subtitles. 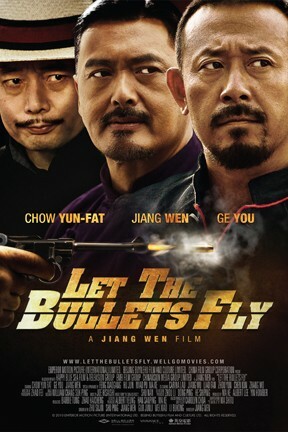 Let the Bullets Fly is not showing in any theaters in the area.